The idea of wellness is a mind and body experience at the Sun Valley Wellness Festival. In its 14th year, the festival, a traditional Memorial Day weekend event, will take place Thursday, May 26 through Monday, May 30, at Sun Valley Resort. Speakers, presentations, workshops, a hands-on hall and a music event will take place throughout the weekend. 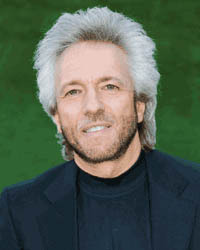 Keynote speaker Gregg Braden will give a presentation titled "Deep Truth: Igniting the Memory of Our Origin, History, Destiny and Fate," on Friday from 7:30-9 p.m. in the Sun Valley Inn Limelight Room. Braden is a best-selling author and, according to information provided by the Wellness Festival, a "visionary scientist" who "explores deep truths at the root of humankind's greatest threats." He is known internationally for attempting to bridge the ideas of science and spirituality. "We are living in a time where the old rules have broken down," Braden said. "The world we applied these rules to is not there and learning is different." Braden said that bridging science and spirituality is about the facts and their relationship to the world. "It helps to give meaning to our lives," he said. "For me, when things don't make sense, it's because I don't have all the information. It's frightening when you do not understand what is happening." Braden lives in rural New Mexico where the closest grocery store is an hour away, which, he said, is why having facts and good information is important to him. He said that throughout his research, experience and travels to remote regions of the world, he understands why people are looking to empower their lives, especially educated people. "Many of the world's crises have been brought to mainstream attention and are converging at one time and only in a few years," he said. "Food, water and the growing disparity between poverty and wealth are new problems with no cure. People knew about an impending economic meltdown but did know when or how to deal with it." He said that science we can trust and rely upon has only been available for the past 300 years, but though it's young, it reveals answers to help people make choices. Braden will share with the 2011 Sun Valley Wellness Festival audience how people can make choices and answer basic questions about who they are. "We tend to be open and embrace new ideas when the world is falling apart," he said. "Humans have a tendency to make change when necessary. Now systems are collapsing and we don't have decades but a few brief years. It's the way humans learn." From his experience, Braden said that once people understand the concept of change they are not so frightened. "Systems are breaking down," he said "Right now we are at a point where we need to figure it out in the next five to eight years. We most choose proper sustainable ways of life." The festival will also include a cosmic salon with Alex and Allyson Grey, a community art and dance party with DJ dance music, live painting by Alex Grey and many additional entertaining, spiritually enhancing elements. The salon will take place on Saturday from 8 p.m. to midnight in the Sun Valley Inn Continental Room. The festival will offer opportunities to experience healing processes and to shop for wellness items at the Sun Valley Wellness Hands on Hall and Exhibit Hall. It will be in the Sun Valley Inn Saturday and Sunday from 8:30 a.m. to 6:30 p.m. and Monday from 8:30 a.m. to 3 p.m. The hall is open to the public at no charge. For tickets, passes, schedules and in-depth details on the festival, visit www.sunvalleywellness.org.